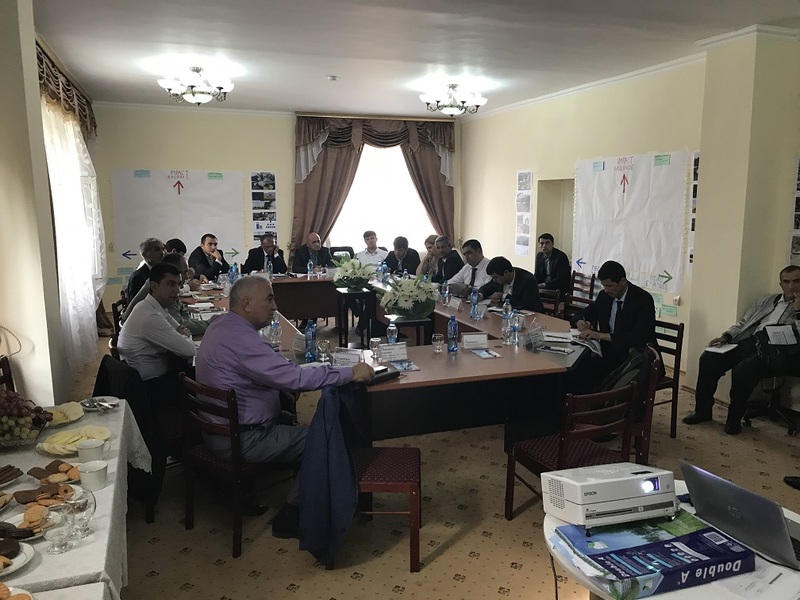 As part of the Dushanbe Water Supply and Sanitation Project, an urban resilience workshop was conducted on 03 October 2017 to orientate city officials on the concept of ‘urban resilience.’ A total of 18 participants from the City Administration and Dushanbe Vodokanal attended to help identify and prioritize the stresses and shocks that challenge Dushanbe’s resilience. 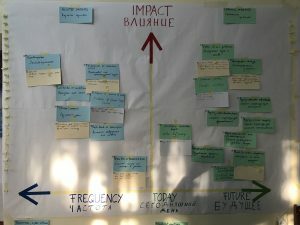 The work they did is expected to guide project design, including adaptive capacity. CDIA is currently helping the city develop the project preparation study using an urban resilience lens amidst chronic problems of poverty and unemployment. 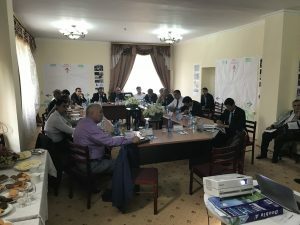 To build their resilience, water supply and sanitation services need to cope with the increasing population and looming impacts of climate change in this capital city of Tajikistan, a country considered to be among the most vulnerable. River floods and erosion from heavy rains and snow melt affect water quality and damage equipment. The downturn in the economy also makes it difficult for Dushanbe to allocate financial resources to improve infrastructure and services. The city government, beneficiaries and other stakeholders will be consulted from priority project identification up to feasibility study and preliminary engineering design set to be completed by March 2018. The Asian Development Bank and the government of Tajikistan are expected to take the study forward to meet financing requirements. CDIA is one with Dushanbe in its aspirations of improved water supply and wastewater service. Once implemented, these projects are envisaged to help narrow the gap in the quality and reliability of existing systems, and capacitate institutions to modernize delivery and minimize systems losses. One impact will be a healthier population.